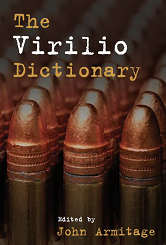 In Virilio's writings, meanings and interpretations are often difficult and ambiguous. This dictionary guides you through his concepts with headwords including Accident, Body, Cinema, Deterritorialization and Eugenics. Explore the very edge of Virilios pioneering thought in cultural and social theory with the entries on Foreclosure, Grey Ecology, Polar Inertia and the Overexposed City.